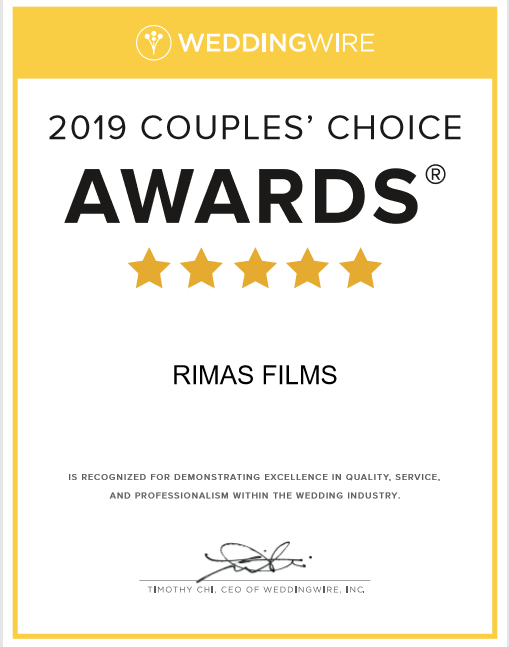 So very grateful for acknowledging RIMAS FILMS quality for 4 years in a row. Thank you to all the couples who trusted me with the most important day of their lives! The Addison has hosted a wonderful wedding of Jessenia and Carlos. Two beautiful people joined their lives in an outstanding ceremony captured by Dolce Photography. It was my pleasure to witness such a wonderful celebration of love. Thank you for allowing me to be a part of your day and congratulations Jessenia and Carlos. Through the years I have filmed beautiful weddings and met so many wonderful couples, yet never experienced the glorious emotion surounding this special day. I was so lucky to meet my gorgeous fiance now wife Gladys, who showed me just how amazing this world can be. We have invited our family and closest friends to a beach ceremony and then Thasos Fine Greek Cuisine to celebrate the happiness and love we share. It was the most special day of our lives and we are so thankful to my amazing assistant Yuri, Claudia Oliver Photographers and everybody else! Serge and Rolanda were given once in a life opportunity to meet at a wedding and they ended up getting married at the Mansion at Tuckahoe! Two sweethearts in love have confirmed their future together in a blessed union surrounded by family and friends. Verola Studio, Perfect Events Unlimited, Liv 2 Party Entertainment and myself joined forces to create this outstanding romantic wedding. Serge + Rolanda thank you so much for allowing us to be a part of your beautiful day! Congratulations!!! Lauren and Jordan decided to have the adventure of a lifetime at The Westin Alexandria. Lauren glamed by Makeup by Ana B and Jordan whisked in by Fleet Transportation, LLC - Sedan, Limo & Shuttle Service have joined their lives in a sacred ceremony captured by Steven and Lily Photography. I had a great pleasure to film their beautiful day and today would like to share its outstanding beauty. Lauren and Jordan - congratulations! Christine and Edward have joined their lives at the Potomac Point Vineyard and Winery in an emotional ceremony photographed by Genevieve Leiper Photography. Bachelor Boys Band kept the reception party up and running all night! I had a great honor to film this wonderful day. Christine and Edward, thank you for allowing me to be a part of your wedding day and congratulations! BWI Airport Marriott hosted a wonderful wedding of two lovely people Jency and David. A colorful day full of laughter and happiness photographed by Mari Harsan Studios and decorated by L'Ambiance it was a spectacular celebration of love, which I was extremely lucky to witness! Dynasty AV & Entertainment, Caitlyn Meyer MUA, Patisserie Poupon and Limousines, Inc. are just the couple of amazing vendors who helped to make this day perfect! Jency and David - congratulations!!! You've heard the phrase, "Two ships passing in the night"? How about, "Two people passing out cake"? As this is how Lynette first saw Tony and Tony first saw Lynette. I got to witness their beautiful wedding at the fabulous East Lynn Farm. Photographed by Bert Gilliam and guided by Anna Bee Events, Lynette and Tony's day was long planned by their friends and family, who just knew they are meant to be together! Lynette and Tony, thank you so much for trusting me with the most special day in your lives, it has been an absolute pleasure to capture it. Congratulations!! !